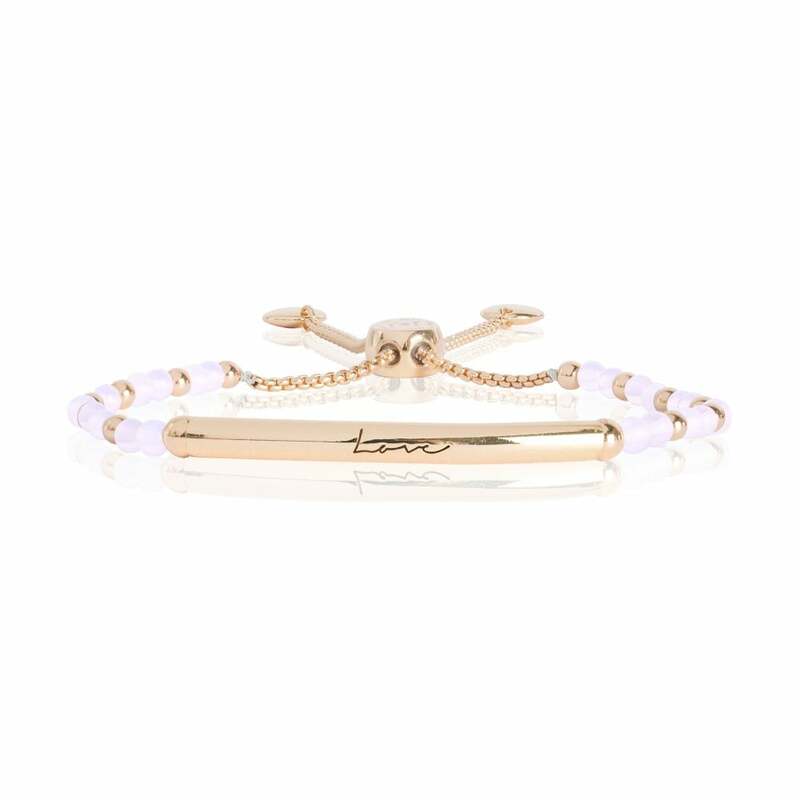 What better way to say 'I love you' than with this beautiful bracelet?MATERIAL: Metal: Gold plated Signature stone: Pale pink rose quartz semi-precious stone.Presented in a gorgeous, white Joma Jewellery pouch tied together with a silky white ribbon, this bracelet makes the perfect gift! Joma Jewellery's exciting Signature Stone 'Love' bracelet is the most beautiful token of love!With stunning pale pink rose quartz semi-precious stones and a unique gold plated bar with the word 'Love' enscripted onto it, this bracelet is the most unique way to tell that special person just how much they mean to you!Please keep your item dry at all times and away from perfume and body creams in order to preserve any plating and to ensure your piece lives a long and beautiful life.Each piece of Joma Jewellery comes in a gorgeous Joma gift bag with a gift tag for you to write the recipients name for easy peasy gift giving.SIZE: Recommended for adults. Adjustable.